My mood was on the violet tones trend when I started this necklace. 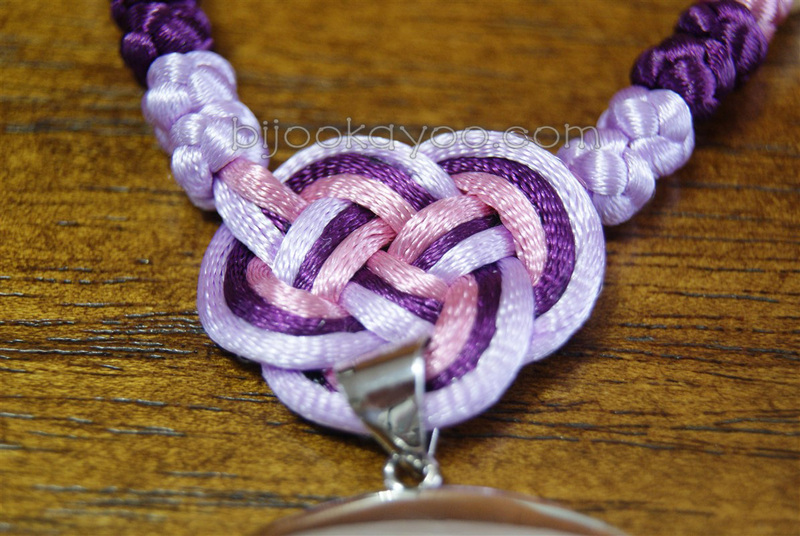 As I really wanted a Double Coin knot to fix the pendant to the chain, but found that two cords were not enough, I ended up adding a third one with a rosy touch to my two lavender and plum cords. I really love the classy effect that it gives to the necklace. The chain was just a pleasant moment of playing with the cords and their colors. 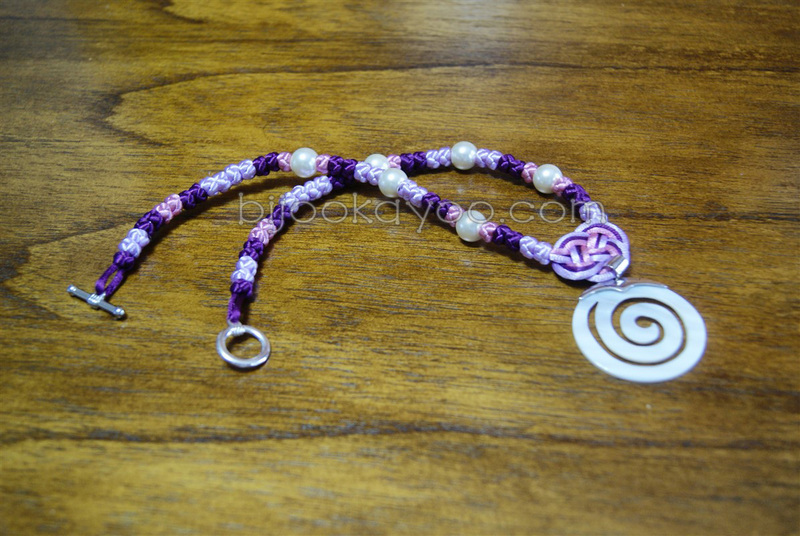 This necklace is made of three 2mm satin cords, a lavender one, a plum one and a rosy mauve one, and a spiral-shaped natural shell pendant with natural shell beads along the chain. It features a Double Coin knot fixing the pendant to the chain, and Button knots. Thus, the Button knot is a symbol of good luck. And the shape of the Double Coin knot, or Friendship knot, represents two overlapping antique coins and, hence, symbolizes great prosperity and long life. Posted in NecklacesTagged bead, button, chinese, classy, coin, cord, double, knot, lavender, mauve, natural, necklace, pendant, plated, plum, rosy, satin, shell, silver, spiral, toggle, violetBookmark the permalink.